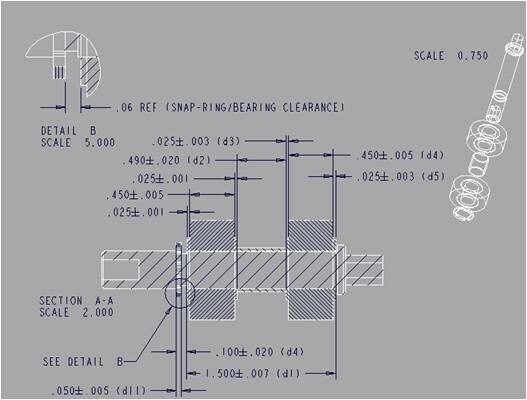 This process for mechanical requirements is generalized in the flow diagram below. to see if the design will work properly. This simple comparison is also referred to as worst case analysis. Worst case analysis is appropriate for certain requirements where failure would represent catastrophe for a company. It is also useful and appropriate for problems that involve a low number of parts. Low being defined as three or four parts. Worst case analysis is most often done in a single direction, i.e. a 1D analysis. If the analysis involves part dimensions that are not parallel to the assembly measurement being studied, the stack-up approach must be modified since 2D variation such as angles, or any variation that is not parallel with the 1D direction, does not affect the assembly measurement with a 1-to-1 ratio. Method, Root-Sum-Squared. Instead of summing tolerances, as in worst-case analysis, statistical analysis sums dimension distributions. It is important to understand that the inputs values for a worst-case analysis are design tolerances, but the inputs for a statistical analysis are process distribution moments (e.g., standard deviation). Worst-case analysis (also called tolerance stack-up analysis) can be used to validate a design. 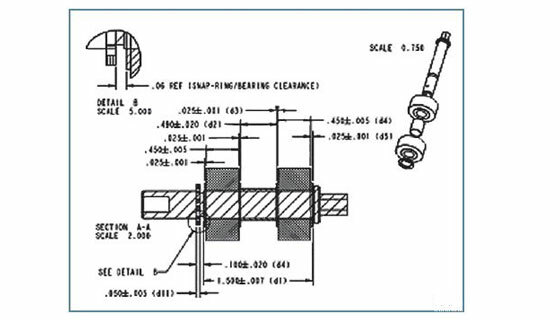 Statistical analysis (also called variation analysis) can be used to predict the actual variation of an assembly based on the variation of the part dimensions. Comparing the assembly standard deviation to the assembly limits allow for the calculation of quality metrics like sigma, % yield, DPMU, etc. This approach requires distributions to be normal with all parts at the same quality level, i.e. +/- 3σ. A statistical tolerance analysis is when you take the variation of a set of inputs to calculate the expected variation of an output of interest. In mechanical engineering, a product design is composed of multiple features, each with tolerance values that control the variable aspects of those features. 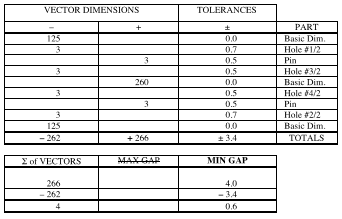 Statistical tolerance analysis is used to understand how these tolerances contribute the various performance characteristics of the design. The simplest form of tolerance analysis is the single direction, 1D Tolerance Stackup. A 1D Tolerance Stackup is created by creating a cross section of a model and adding the tolerance values for each feature in a straight line.The variation in each contributes to the overall output/outcome. In a Worst-Case Analysis, each dimension will have a minimum and maximum value that represents the range of acceptability for that dimension. Worst-Case answers the question, if I take the maximum range on each input, what is the maximum range for the measurement of interest or stackup? We are therefore dealing with the limits of acceptability and not probability. 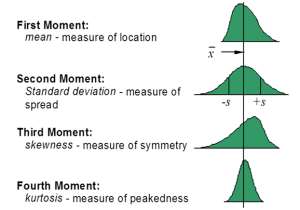 RSS (Root-Sum Squared) Statistical Analysis does not focus on the extreme values, but focuses on the distribution of the variation for each dimension. Each dimension will have a unique distribution of values based on the manufacturing process. Tool wear, operator differences, changes in material and environment all contribute to variation in the dimension value. Each dimension has its own distribution curve. When you combine the probabilities for each dimension (each separate curve) you get the probability for the total and therefore the distribution curve of the total. Statistical analysis answers the question, given the distribution of variation on each dimension what is the probability that my performance characteristic will fall within defined acceptable limits. 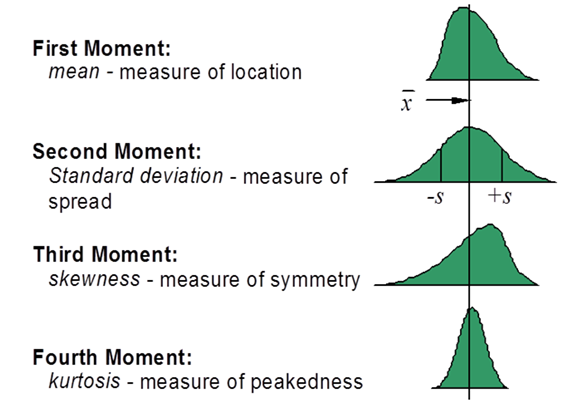 The limitation of RSS is that it assumes all inputs are normally distributed and all performance characteristics have a linear relationship with the dimension. These assumptions do not account for the breadth of conditions that exist in typical scenarios found in manufacturing. Second Order Tolerance Analysis is also needed to determine what your output is going to be when the assembly function is not linear. In typical mechanical engineering scenarios kinematic adjustments and other assembly behaviors result in non-linear assembly functions. Second order calculations are much more complex so hand calculations are not advisable but the computation accuracy is greatly improved and becomes viable within a tolerance analysis software package. The choice in tolerance analysis method is based on many factors, but the can be summarized as “Which method best matches the manufacturing and inspection process of the assembly”. For simple fit problems, a 1D stack-up may be sufficient. RSS is sufficient for the small number of scenarios where the inputs are normal and the assembly relationships are linear. For all other scenarios, Second Order Tolerance Analysis is required to address the real world of manufacturing. Start at the bottom and work up, or start at the left and work to the right. Always take the shortest route. Stay on one part until all tolerances are exhausted. Step 1 : Identify the requirement that is to be analyzed. 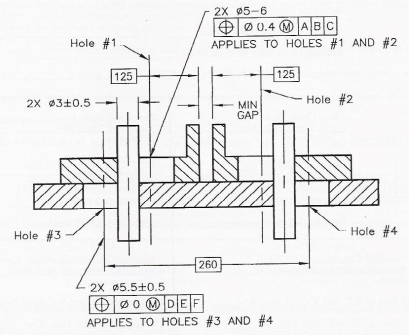 Step 2 : Identify all dimensions and tolerances that contribute to the gap. Step 4 : Only one set of mating features creates the worst-case gap. Step 5 : The analyst must deduce which geometric tolerance, location or orientation if either, contributes to the gap. Step 6 : If your assumptions are wrong, your answer is wrong. 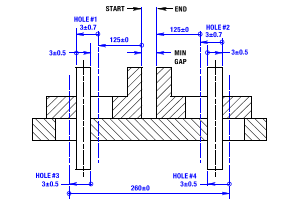 Calculate the Minimum Gap of the assembly below. Perhaps the most difficult aspect of tolerance analysis is drawing the appropriate loop diagram. Add the negative vectors, the arrows pointing to the left, and positive vectors, the arrows pointing to the right, find the difference between the sums of the positive and negative vectors, and subtract the sum of the ± tolerances. 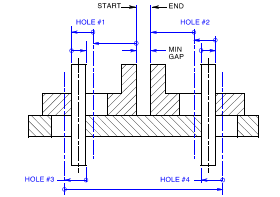 Position the assembly to achieve the minimum gap. 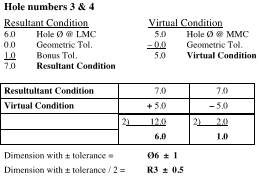 Convert the geometric tolerances to equal bilateral plus and minus tolerances. Subtract the sum of all equal bilateral plus and minus tolerances from the algebraic sum of the vectors.